Pomos village, hanging on the cliffs of west coast Cyprus, lies about 20 km afar from Polis Chrysochous, on the way to Akamas nature reserve. It is a laid back village very peaceful and quiet. 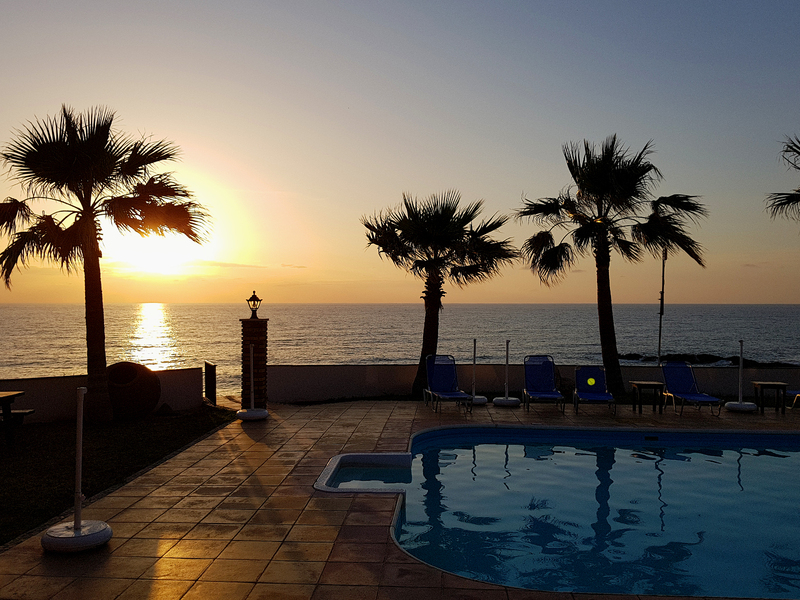 It is ideal for those wanting to live the authentic Cyprus way of life, away from the hassle and bustle of tourist's resorts. 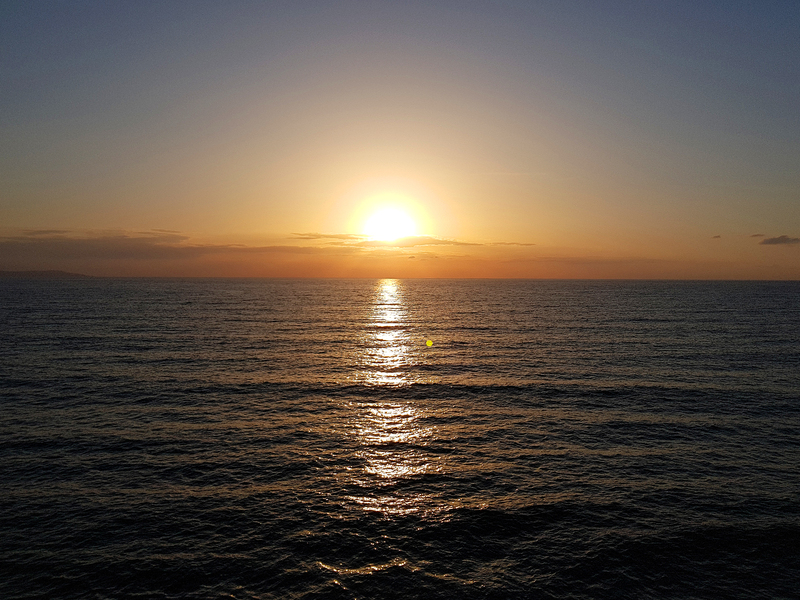 This tranquil and calm area prides itself with amazing views of the coastline and sandy beaches, making it the ideal place for rest and relaxation. Pomos is one of the remaining unspoiled and undisturbed areas of Paphos. An ideal location to get away from it all.. The beach that shows up in front of you is not only virgin but it has expansion of one kilometer. The beach of Pomos has something special. It has enough width and it is constituted from a fine but also coarse-grained sand, mixed with few colourful pebbles. 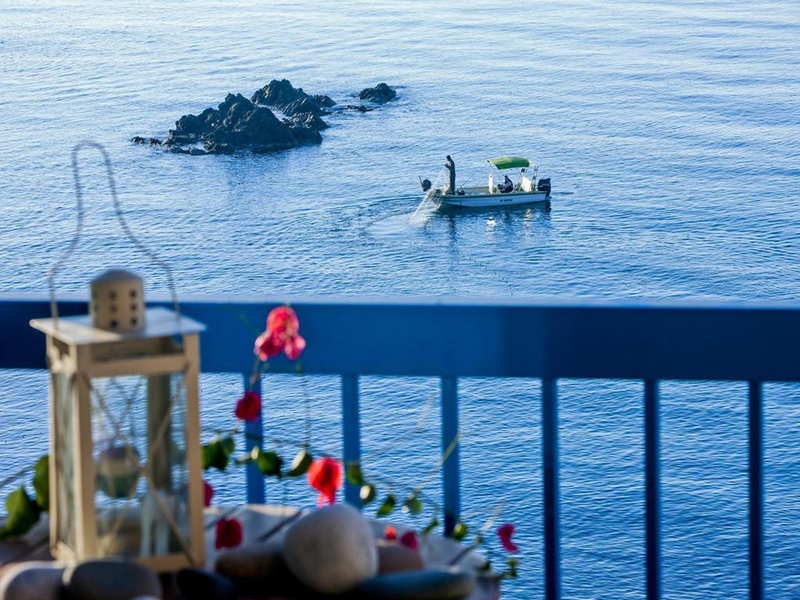 Until the Akrotiri it is probably one from the most picturesque seaside water side of Cyprus. The mountain falls almost vertically to the sea while the chutes are covered with pines and fruit-bearing trees. Besides the lacy water sides with the numerous coves and the pointy small capes, give the scenery a unique picturesqueness. Just now, some tourist apartments appeared in this remote silent place. This tourist units are the most impressive sight in the sand. 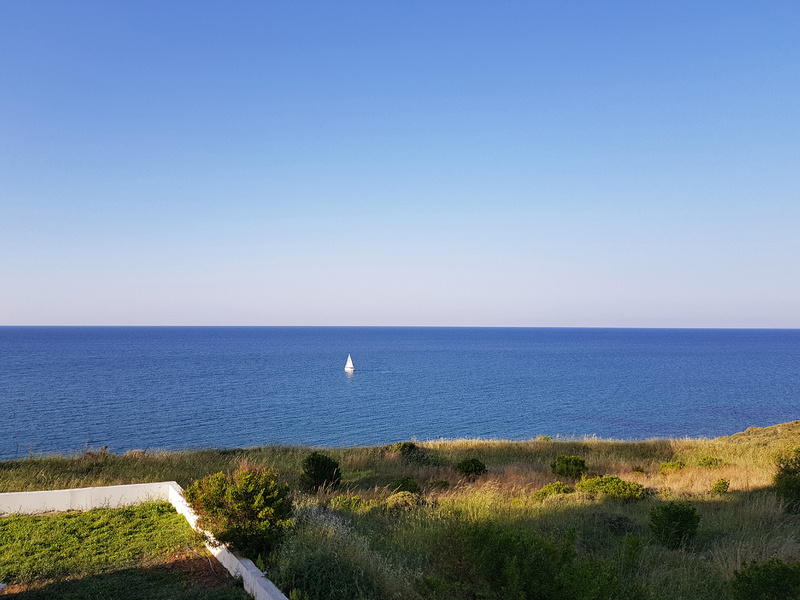 The sand between the navy blue color of the sea and that of the pines, solitary and almost unknown in the wide public, is attractive to those who are interested in relaxation peace and quietness. You can only hear the noise of the waves. You feel your body to be penetrated by a soft cool breeze. You enjoy a limpid clear sky ,with stars that send you their bright or blurred light. This incomparable beauty and peace, this sublime harmony in light and color that you meet here in the sand of Pomos is something rare. It is probably, this moment, the most quiet tourist place of the island. So few visitors, local and foreigners to enjoy this expanded virgin sand! It is not sure though how long this peace and lonely life of this place will last. The littoral place of the village contributed to the development of fishery. In the offshore area next to the Akron Pomos, there is a fishery shelter which in 1984 took in four fish boats that kept busy seven residents of the area. With state expenses since 1983 the port of the area developed significantly. The professional fishermen but the amateurs too have enclosed the area all over enjoying the fresh alluring fish. Today, the development is enough bigger, in an extent that fresh fish does not only serve the people who are there to enjoy the marvelous sight but also the restaurants of the area. The cape of Pomos or the Akron Pomos as it is more known , is in the area of Tilirias about two kilometers north of the village in which he took its name . Its formation took place because of the hard rock that is around it and which resisted the mordant energy of the waves. 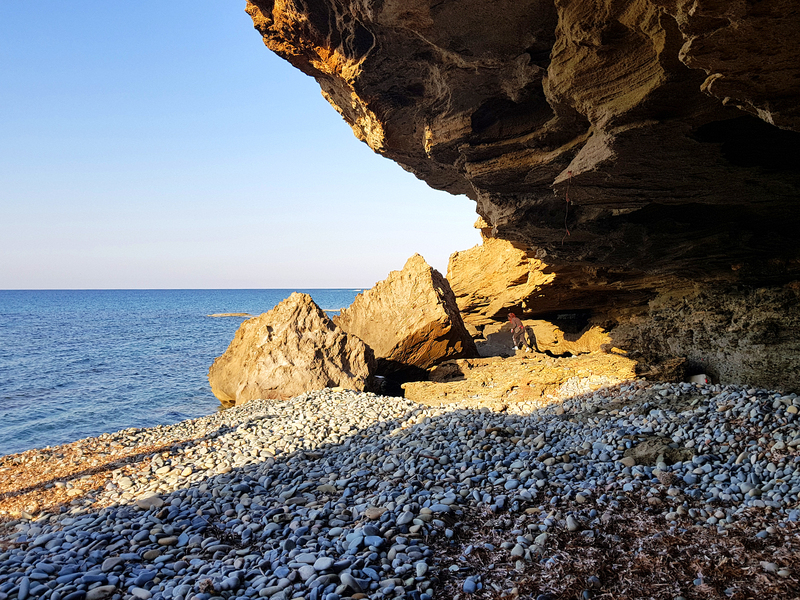 The route from the nearby village Nea Dimmata until the Akro Pomo is perhaps one of the most picturesque offshore routes in Cyprus. The mountain falls almost vertically to the sea while the steep slopes are covered with pines and fruit bearing trees. Besides the lacy seaside with the numerous coves and the sharp small capes give the scenery a unique picturesqerness. In the past tradition said that ships arrived in the area and made burglaries. In this cave there was the famous Dragon who protected the area from all the evil things that happened then. It is a rocky cave, with an opening to the sea some kilometers further from the port, to the cape. The cave has lots of depth and sweet water comes from there. While the sunset begins, the few scattered clouds take a soft golden color and create a marvelous view. The Sunset here is Bucolic and blissful, wonderful and wild, head along this far north western coast of the island. The location of Pomos is the ideal place to watch the sunset. The scenery and nature are unique. Even in the same place every sunset is different from day to day. Pomos is one of the best sunset view points not only in Cyprus but all over Europe. 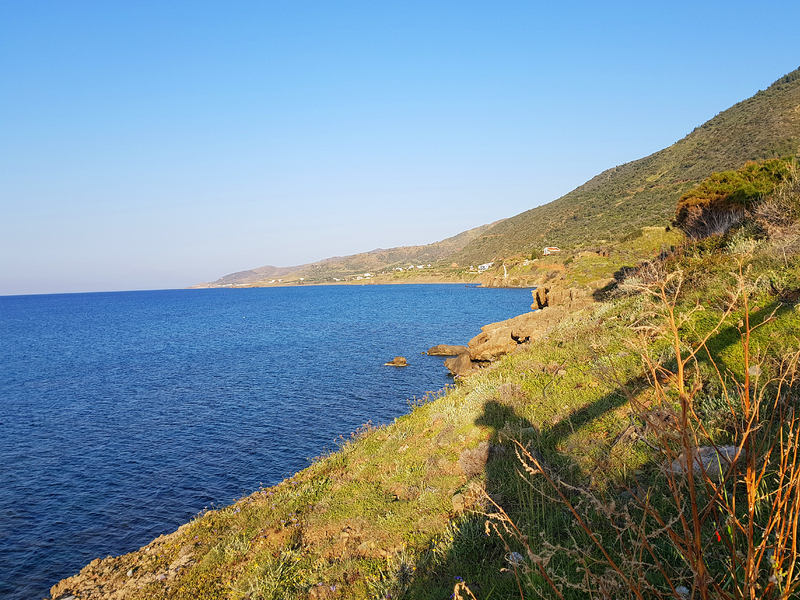 The small village of Pachyammos, just 3,5 km from Pomos is majestically beautiful and the mountains lead straight into the sea. 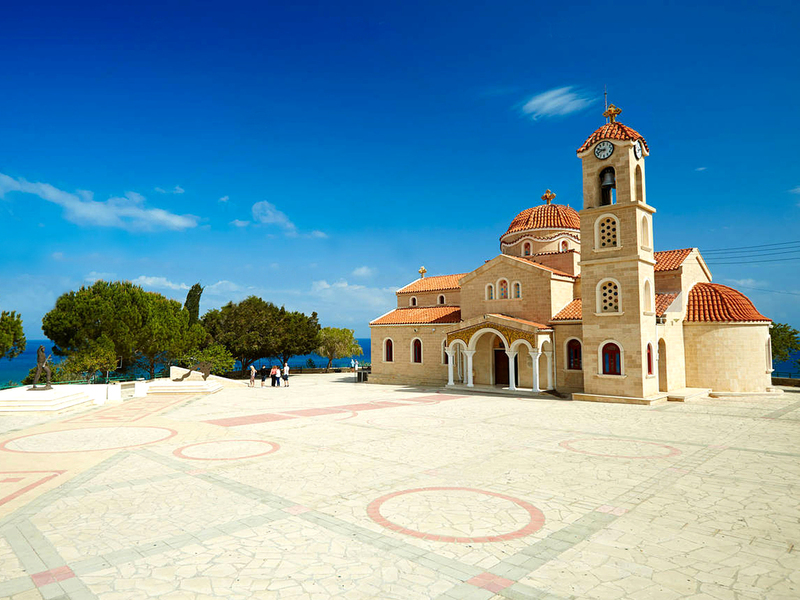 The main point of interest is the impressive church of Agios Rafael, an important pilgrimage site for the faithful due to the belief in the miraculous curing powers of the saint. The narrow sandy Blue Flag beach of Pachyammos makes for a nice stop Pachyammos Village Beach is an idyllic refuge for those seeking a remote and private stretch of bay to enjoy their day in tranquility. The scenery and the views ascending the hill are simply amazing. 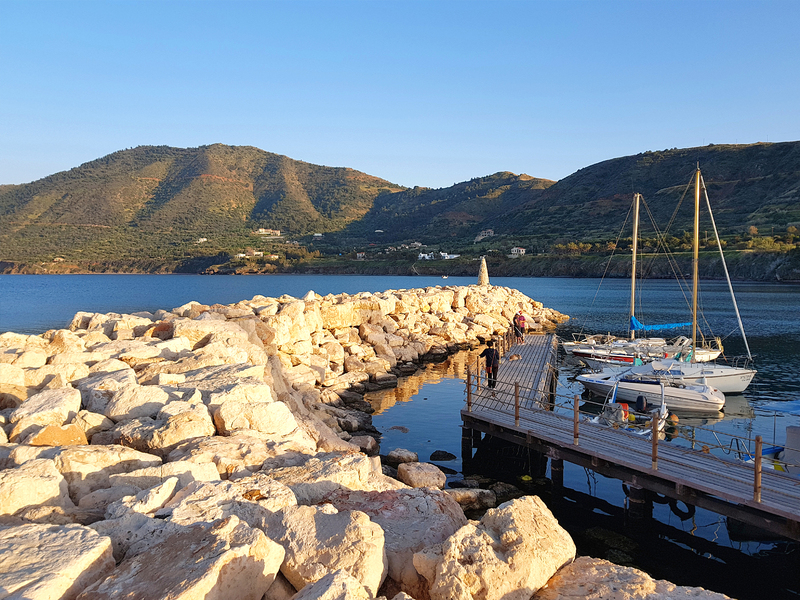 Drive through the serpentine mountain road and enjoy the beautiful contrast of the wild green of Tiliria on your left and the dramatic coastline of hill girt bays and seaweed-covered rocky shores in the deep blue colours of the Mediterranean on your right. . 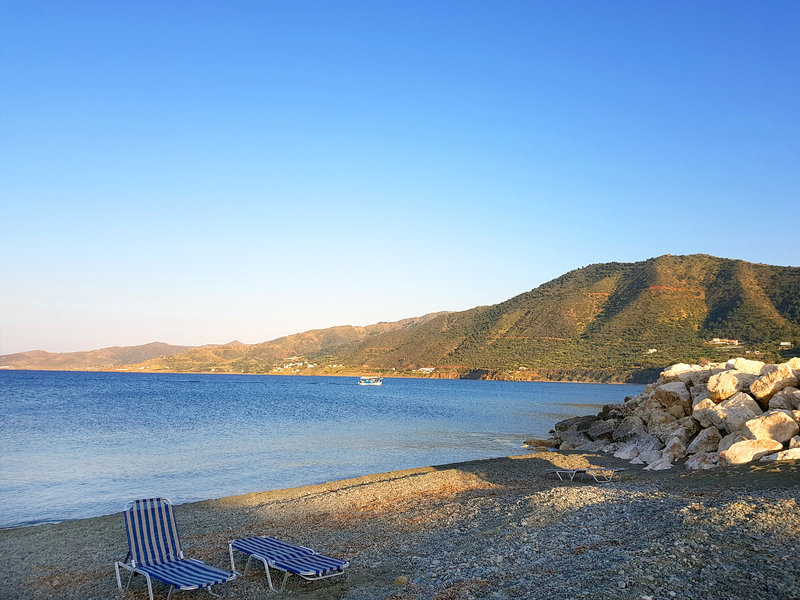 Stunning natural environment, friendly, laid back people, great apartments and villas for your accommodation, wonderful beaches, stunning sunset, Pomos is the ideal place for those seeking active holidays in the nature. 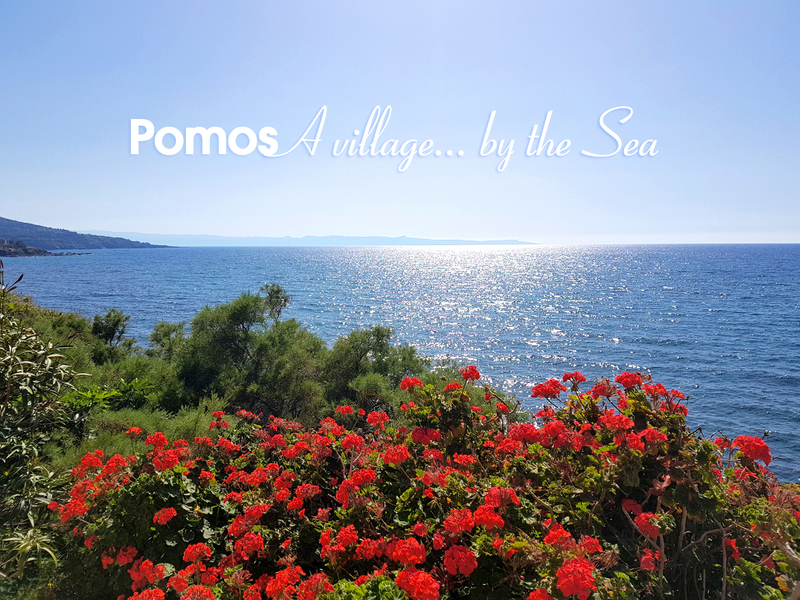 Pomos is built next to the sea , in a medium height of 10 metres. The scenery of the village has an obvious leaning to the sea. The creation of tourist units in the enchanting beach of the village, offered the opportunity to the foreigners but to the local people to enjoy the magic of the scenery and their calm. Located on the north - west part of Cyprus, Pomos is an area of natural beauties, excellent sea and beaches. 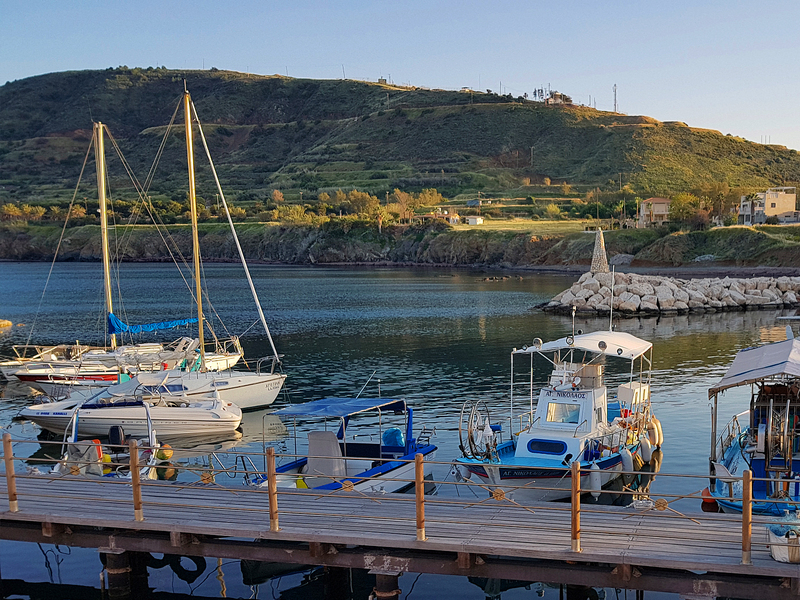 The National Park of Akamas Peninsula is just a few kilometers away. Akamas peninsula: The national park of Akamas is just next to Polis Chrysochous. From Polis you are able to explore this unique unspoilt area. ENJOY A Glorious Coastal Spot!! !